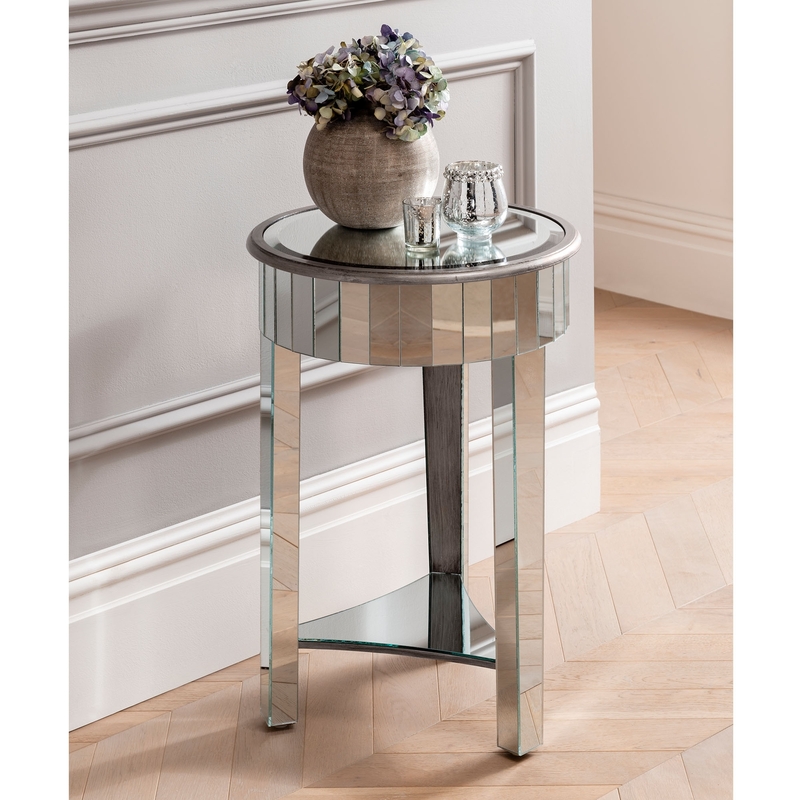 From our extensive range of Venetian mirrored furniture comes this delightful Venetian mirrored side table. Crafted from clear-cut glass and featuring and wonderful round shaped mirrored surface with a lower shelf, this wonderful side table will work wonders brightening up any room in your home. Featuring beveled glass panels, this mirrored side table with a shelf is the perfect way to give any room a bigger and brighter appearance and adding style in abundance.